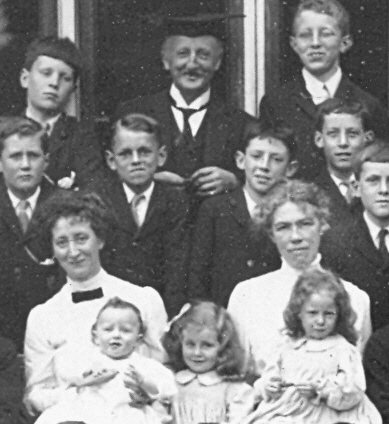 Old School House in 1912 with housemaster Mr Wynne Willson. Mr Willson was also a special constable and patrolled the streets of Holt at night checking under bridges for bombs and ensuring blackout regulations were enforced. The little boys in his house were more excited than alarmed when the first bombs fell in January 1915 in the Glaven valley, eagerly searching for remnants the next morning, although a few had to be gathered around the fire and read stories to calm them. Wynne Willson’s detailed and personal account is just one example of the wealth of material held by the School Archive which has been used to enliven WWI history lessons for 3rd formers in the past few years. Groups visit to research some of the fallen boys, tracing their school and army careers in school records and online in the Autumn term, following the battlefields visit and the annual Armistice Day service. Perhaps the best resource for studying this period is The Gresham Magazine which has been digitised and can be searched online. 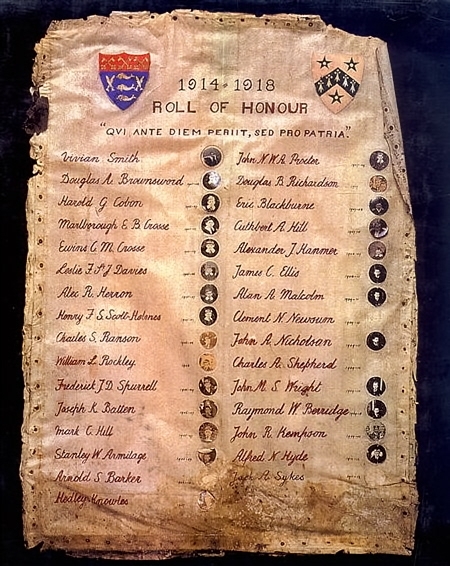 Here we can find details of a pupil’s life at school, the prizes they won at Speech Day, participation in sports teams or school plays, contributions to the debating society, and, later on, information about their military service and sacrifice. The carved wooden memorial in the School Chapel records the names of 101 pupils (and one member of staff) who lost their lives in World War I. At least another ten names have been discovered since and no doubt there were others. As part of our commemoration of the centenary of WWI we have a number of events planned including a cricket match, chapel service, concerts, and an exhibition. Sue Smart who wrote the poignant story on the fallen of Gresham’s When Heroes Die is reprinting her book this year, and a history of the cadet corps is also in progress. We also plan to make more of our archive material available via the Old Greshamian Club website. 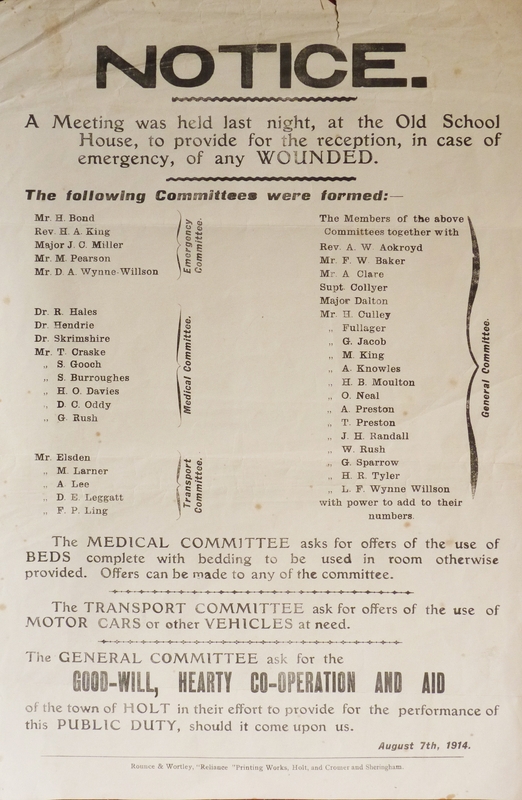 Anyone who has Gresham’s ancestors who fought in the War is invited to contact the School Archivist Liz Larby (author of this post) on Tel: 01263 714613 or llarby@greshams.com. This entry was posted in Events, Schools. Bookmark the permalink.